What are the medium term economic effects of returning to National Economy, instead of Global Economy? 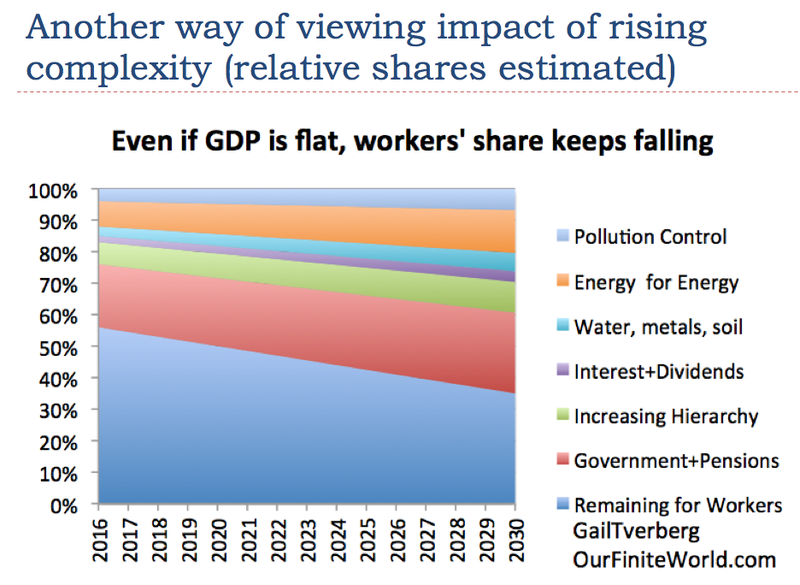 Inherent in globalization is the fall of wages for workers, as production moves to the areas with cheapest pay and lowest environmental regulation costs. Re-nationalization will give labor a stronger position, and more pay, at the expense of the wealthy. Prices will rise for goods and services. Total GDP will be less, but more evenly distributed. Cassandra's Legacy runs the simulation, though without declining energy supply effects or global warming effects, both of which reduce GDP and human population growth. There is always the Lies-R-Us aspect of the Trump plans to consider. The world is multipolar. China and Russia are not "contained". Reality. How much adaptation to reality can America undertake now? Trump-the-negotiator has lots to do, and will need to walk-back a lot of rigidly held dominance-postures in both parties and the military-industrial-complex. Evidence substantiating the "out-of-Egypt" origins of Chinese civilization is presented in this article. The century old hypothesis is now supported by analysis of the very oldest Chinese bronze artifacts. Their isotopic fingerprints are Egyptian. The Police Brutality is burning through money. They'll need another $7 million in the short term to keep shooting rubber bullets at peoples, heads, breaking limbs, and dousing everybody with freezing water, while hosing out their heating fires. Only 10% of Palestinians living in Gaza, the open air prison their invaders have kettled them into, have access to clean drinking water. Biological warfare is another mechanism of creeping genocide employed by Israel. The Syrian army has captured the largest sector of East Aleppo from insurgents, and faster than expected. The remaining insurgent forces are now isolated from any reinforcements and resupply. Thanks Eleni. Indian currency-eradication project is devastating agriculture and food supply. Chitra Bag and her family of six are eating less these days. They make do with one meal instead of the usual three meals, despite a gruelling 8-10 hours of work daily as landless farm labourers. Even though vegetables, grown around their mud-thatched house, are still available, Ms. Bag and her family have drastically cut back on pulses, salt, flour and oil they buy from the neighbourhood grocer. Because he doesn’t extend credit any longer. Chitra can’t pay in new currency notes as her employer paid her in old notes. Narendra Modi, (India's Erdogan?) is starving and ruining his political support base, as well as the rest of the country. The most ardent supporters of Prime Minister Narendra Modi’s surprise currency withdrawal are those you’d least expect: India’s rural poor, who are suffering the most with the prolonged cash shortages. Italian referendum to approve transfer of much Parliamentary power to the President "to allow him to get some things done" is up against populism. Technocrat whiz-kid Renzi keeps waffling on if he will stay or go if his referendum is rejected, which looks likely. If that bigger picture still dominates come polling day, it is hard to see anything but defeat for a man once billed as Italy’s Blair. After 13 years of a flatlining economy, Italians are battered, bruised and looking for somebody to blame. Unemployment is running at 11%, but is close to 40% among the young, who made up the bulk of the 107,000 who left the country last year to seek work abroad. The aftermath of the financial crash is estimated to have wiped out about a quarter of Italian industry. The average family income is less now than it was in 2007. All the rich-folks want Renzi to "stay for the good of the country" after his referendum loses next Monday. Pennsylvania recount appears to be close to impossible, in so many ways. Robert Reich: The Democratic Party as it is now constituted has become a giant fundraising machine, too often reflecting the goals and values of the moneyed interests. This must change. The election of 2016 has repudiated it. We need a people’s party. Wouldn't it be cool if you could play the slot machines while driving in traffic? Smart-Phones; same thing. Watch drivers when you're riding-shotgun some time. Sam Bliss tells of his long bike rides across the US and Europe, into Degrowth.